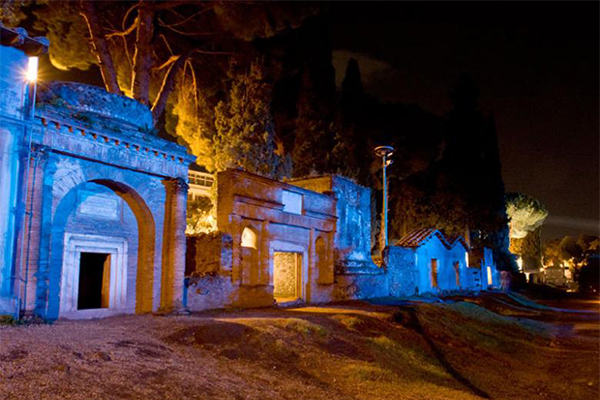 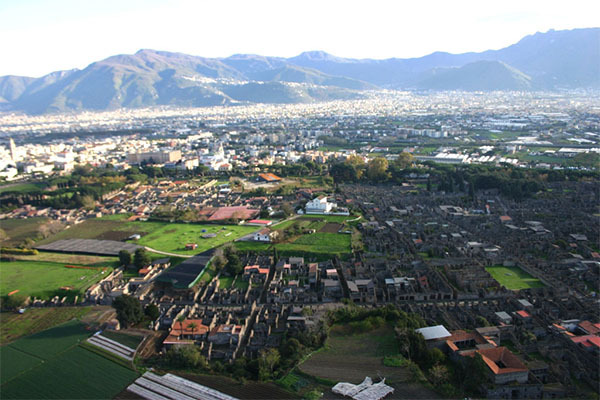 The town of Pompeii, originally a native Oscan settlement founded in the 7th century BC, lies 16 km south of Herculaneum. 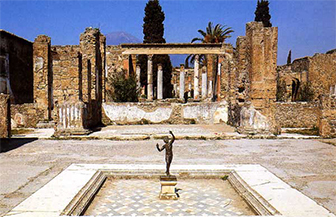 The city was conquered by Greeks, Etruscans and Samnites, and finally became a Roman colony' in 80BC. 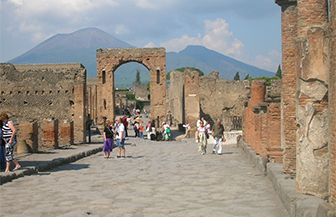 Pompeii was a thriving, noisy market town of about 20.000 inhabitants, filled with shops and bars and small family businesses. 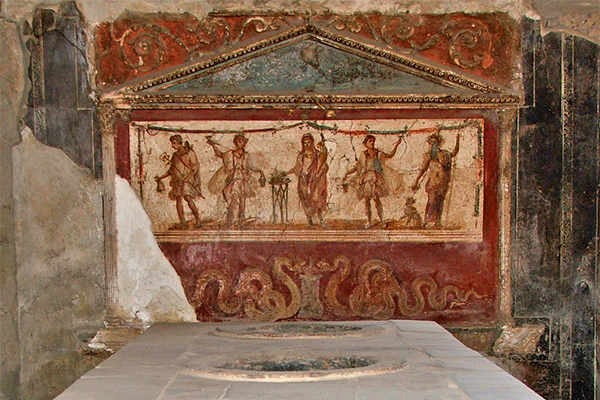 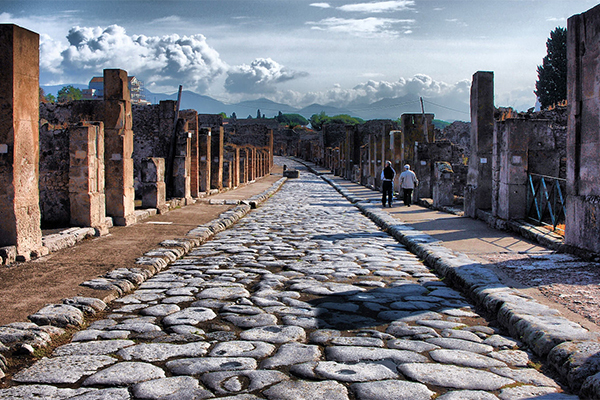 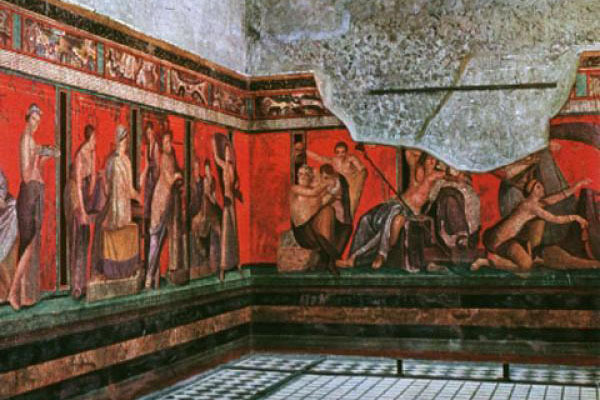 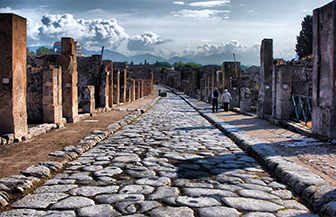 Traders constantly came and went, while wine and a powerful fish sauce were Pompeii's most popular exports. 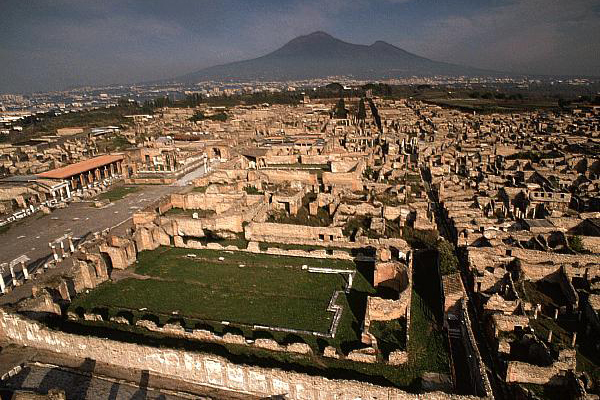 On the day Vesuvius erupted, Pompeii was the scene of a different but no less deadly series of catastrophes. Many more pumice stones showered down here than on Herculaneum, and dense layers of ash settled at the rate of about 15 cm per hour. Roofs began to collapse and the town was soon left in total darkness. 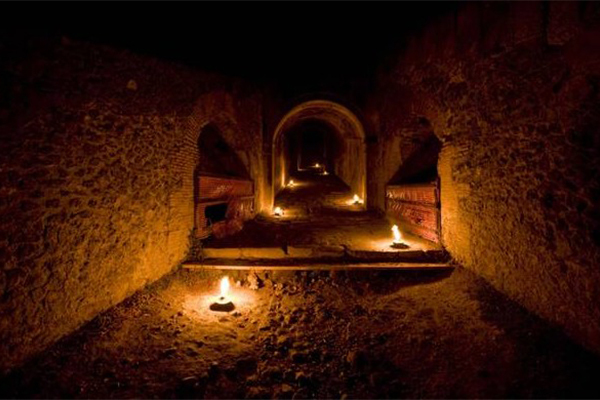 Most people died inside their homes, trapped by fallen timbers and suffocated by toxic gases. 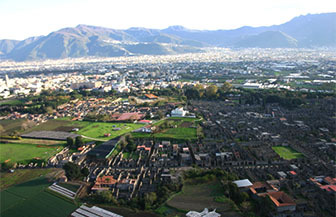 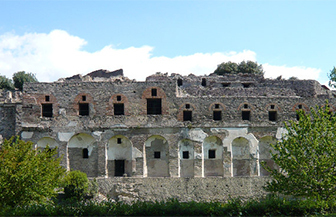 The excavated city is much larger than Herculaneum, covering an area of about one kilometre east to west, and about half a kilometre north to south. 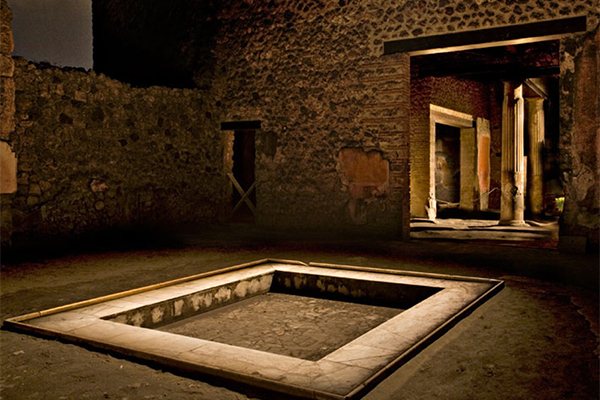 Plan on spending at least four hours here. 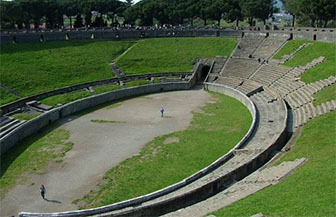 Bear in mind that, much of the site is exposed to the sun and that, apart from the amphitheatre, you won't find many places to sit and rest. 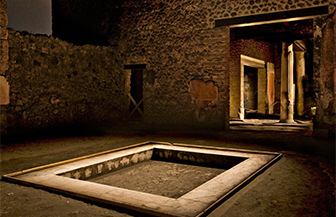 The most important sites are accessible to the public and others can be entered with a guide. 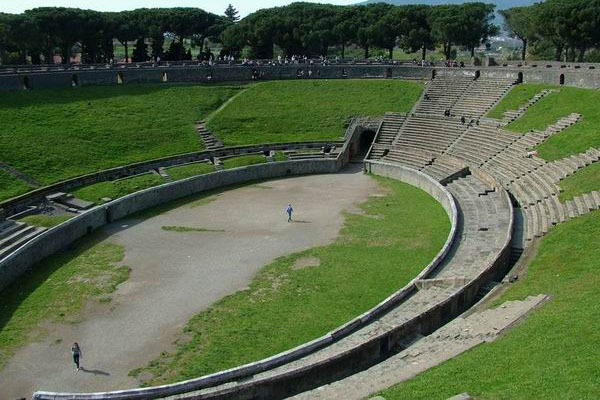 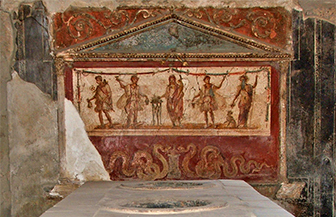 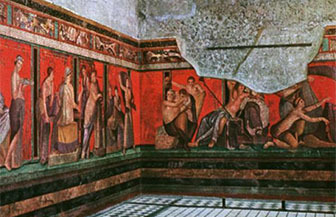 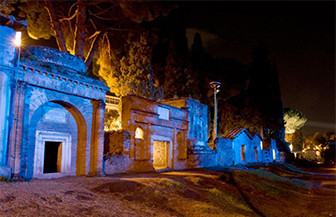 Pompeii is the most visited archeological site in Italy.